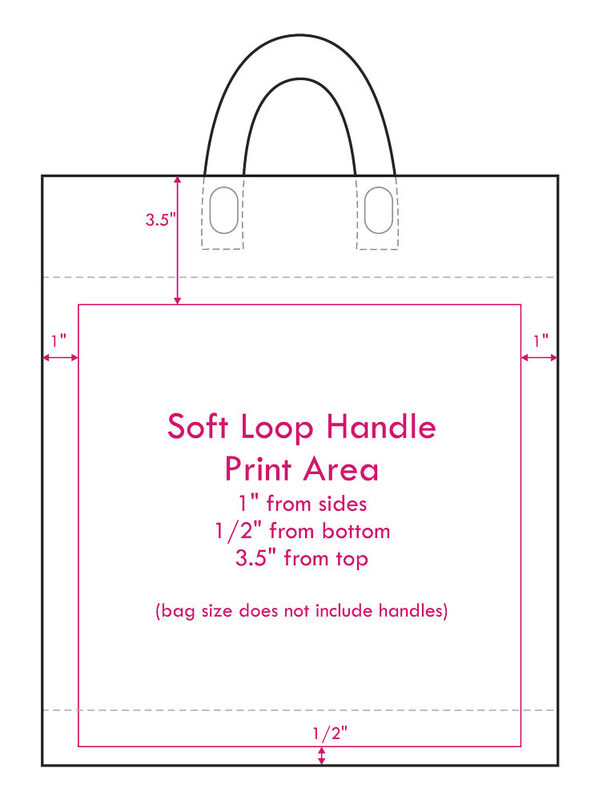 Measurements below are a general guideline for printing on Soft Loop Handle Bags. The top edge of the bag is folded over and sealed just below where the handle is attached, approximately 3" down from the top of the bag. Printing above the seal is not recommended as it prevents proper sealing. We recommend that art start at least 4" down from top of the bag. Printing in the top of the bag is possible, but not recommended.